Being grateful for all your support, good vibes and beautiful thoughts you sent me. Can't thank you enough. Waking up in Broad Peak Base Camp/ 4850m in the morning of July 25th was a very special moment. 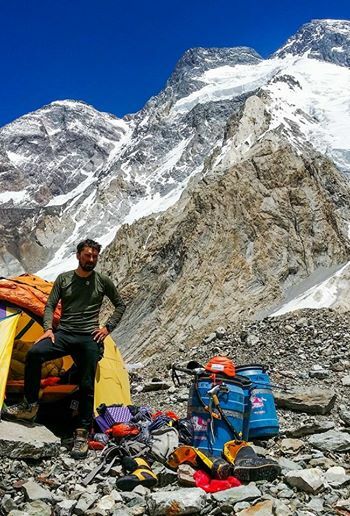 Being back in the world of the living after yet another responsible and aware foray into the "death zone", safely concluded a deeply transformative experience: climbing Broad Peak /8047m (the upper right of the photo, but still not fully visible) without supplementary oxygen, on July 23rd. Climbing mountains Outside is climbing mountains Inside. © Copyright 2004-2019 Alex Gavan. All rights reserved.